Wonton Soup - Learn how to make Chinese wonton soup with this SUPER easy recipe. Plump and juicy wontons that you just can't stop eating. Wonton soup is probably one of the most popular Chinese recipes for soups. The mere mention of it will make you think of delicately wrapped dumplings in a soothing broth served at your favorite Chinese restaurants. This soup is very hearty and nourishing, so it’s no surprise that everyone loves it. The typical Chinese restaurant will serve soup that is watered down, with wontons made of mostly the wonton wrapper with very little filling. But my delicious and super easy Chinese wonton soup recipe is better, and you can make it in a jiffy. 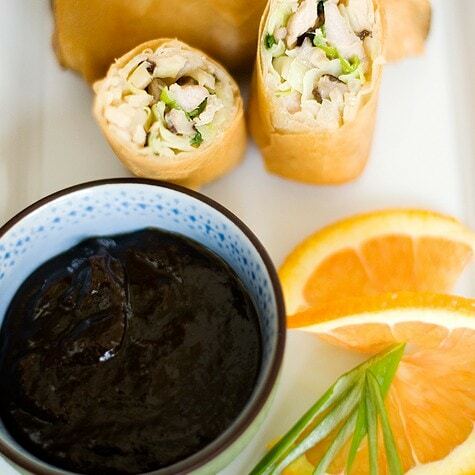 You can even decide how much filling goes into each wonton. 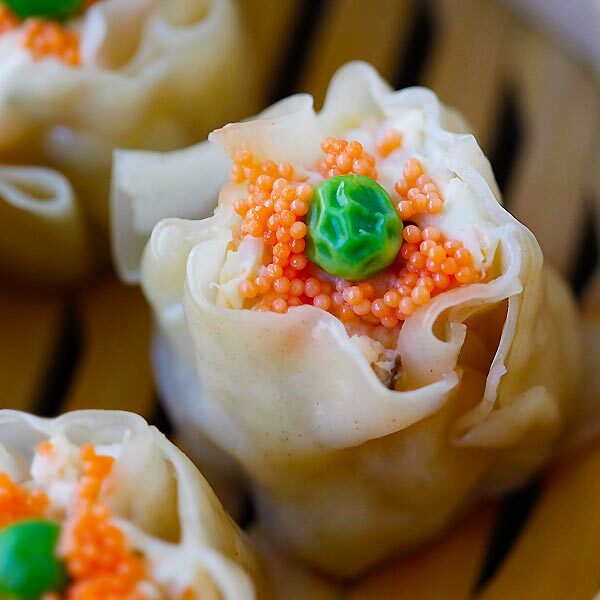 While most Chinese restaurants serve wontons made of ground pork filling, my recipe calls for shrimp wontons, so every bite is bursting with the briny, juicy, and sweetness of fresh shrimp. Plus everyone can enjoy this wonderful soup as it is not made of pork. Please also take note that I used yellow chives in my recipe, which is an authentic way of making the soup. If you can’t find yellow chives, feel free to use scallions and your wonton soup will still taste very good! 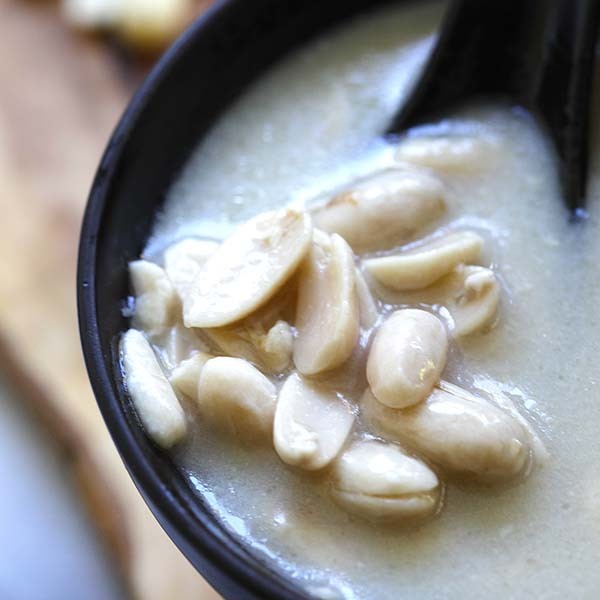 This soup is filled with heart-healthy unsaturated fats, which are great for your diet. 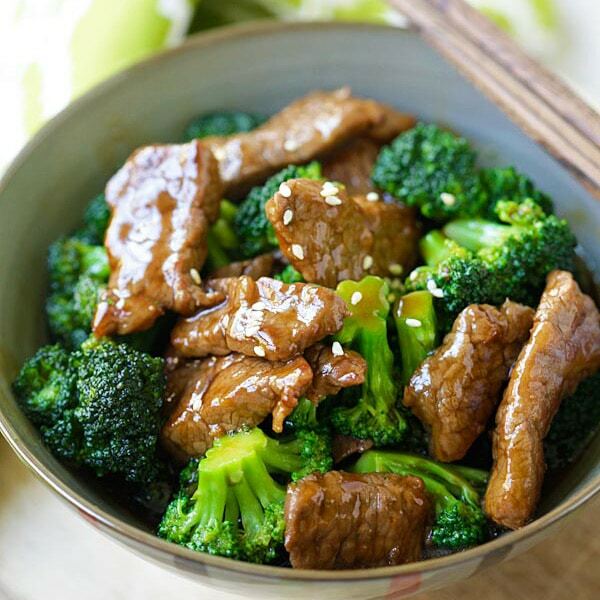 This specific recipe is only 244 calories per serving. Rinse the shrimp and pat dry with paper towels and then cut each shrimp into 3-4 pieces. Add half of the chopped yellow chives into the shrimp and marinate with the seasonings for 1 hour. Place a wonton wrapper on your palm and put about 1 teaspoon (about 3-4 pieces of the shrimp) filling in the center of the wonton wrapper. Gather the corners of the wrapper with the other hand and pinch in the middle to "seal" the wonton. Make sure the wontons are sealed tight. Repeat until the filling is used up. Prepare the soup first by bringing the chicken broth to boil. Add salt, white pepper, and sesame oil to taste. Heat up another pot with water. As soon as it boils, drop all wontons into the water. Stirring gently so the wontons don't stick together. Continue to boil until the wontons are completely cooked and float to the top. Transfer the wontons out with a strainer and into the Soup and serve immediately. I’ve been searching high and low for yellow chives.could get it easily in HK and the states. Can you please recommend where to get it here? Just kidding, but you’re right about those prawn dumplings…gosh, they’re like extinct creatures…you can rarely find them at all!!! I know you are in southern CA, but Joy Luck Place in Cupertino has fabulous wonton soup! 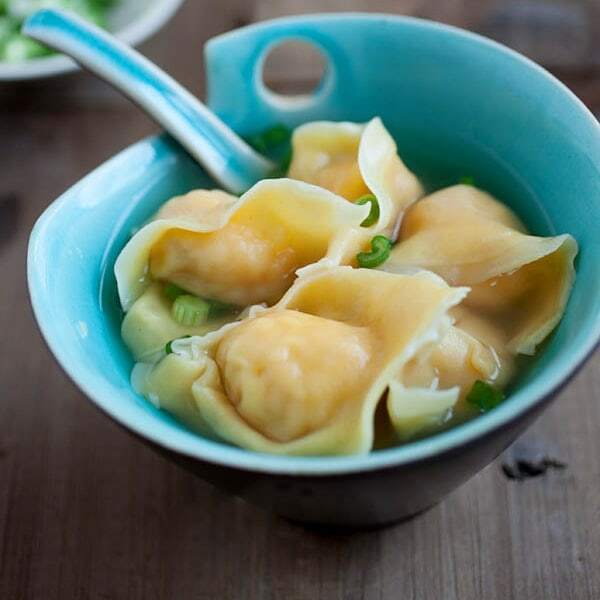 The wontons are flavorful with a generous amount of shrimp and pork filling. What do or can you do with the chicken, pork & ham after they're used to make the stock? Can they be re-used? Mmmm this looks delicious! I’m going to try it one day :) Thanks for the recipe! 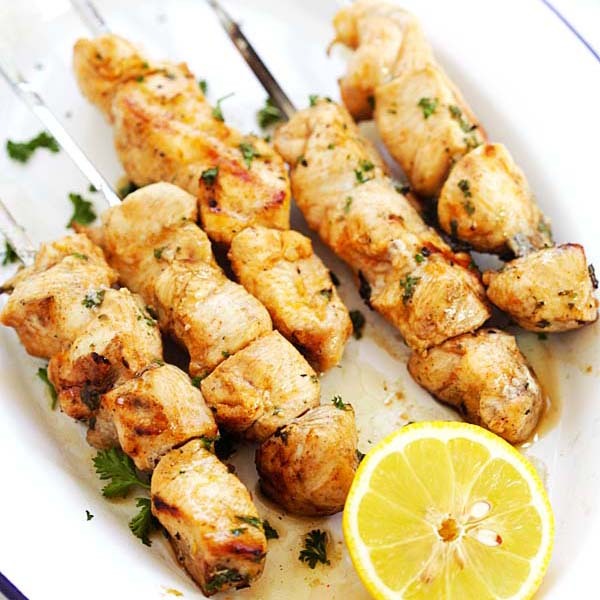 Is there anything you cannot cook to satisfy your cravings? Soo envious. That looks really good right now, especially because I think I’m coming down with a cold. ground chicken is another alternative, works well! i am staring my mac, salivating at your Shang Palace look alike wan tons…. and at the same time scratching my mind wondering where i can find wan ton at this hour – it’s 3 a.m. now. i was so tired after 5 days of marathon unpacking that i fell asleep on the couch without any dinner. Looks delicious! These are so common in Chinese restaurants and yet it is so rarely good. Next time I have a craving I think I’ll try it at home. hey..a little late but better late than never …happy belated birthday! My uncle is a chef in Hong Kong and he has a great wonton soup recipe, which calls for lard. Mix the shrimp with the lard and the wonton will be silky rich. But your wonton soup recipe is equally good and healthy. I am so glad I found your wonton soup recipe. I will have to try your recipe soon to fix my wonton soup craving! Your wonton soup looks fantastic! I’m sure it’s up there with the best of them :) Thanks for sharing the recipe for the Chinese prime stock…I also crave wonton soup or some Chinese style noodle soup some times and this will be good to know! If you live anywhere near alhambra there is a place called won ton time. it’s probably the best shrimp wonton i’ve ever had. Hi Rasa Malaysia. Recommended by customers from HK, my fav is at the corner of Valley and Garfield, next to Starbuck. Hong Kong style Wonton noodle Soup ( looks exactly like Diana’s post), a sister store from HK, complete with attitude filled waitress.The real deal, a small crowded place, with only 5 items on the menu and you may be asked to 撘檯 with others diners. Huge, plump shrimps with a few Gailan. It was close for remodeling last week. Another place for Wonton Noodle soup is along E.Garfield ave, btw N. Garfield and S. Lincoln,( South side of Garvey) Har Lem Kee 蝦林記. The wonton noodle soup 卡輸單博, but still very Hong Kong style. This place is not famous for Dimsum, but special breakfast items are great, like 炸兩. if you're ever in the bay area, try the wonton at food talk cafe in fremont. This looks SO much better than the version served in my local restaurant! Anonymous & Cooknengr – I will try out the recommendations you told me. Yum, I can't wait to have those bouncy prawny wontons, again! Those wontons look amazing! So silky. those wontons look like perfection to me. i love the stock recipe too. I think i’ll make this for my in-law’s when they visit next month. btw – after months of stalking the recipes i finally made your honey turmeric chicken wings last night. my husband and I ate them so fast I couldn’t even bloggem. They are our of this world Ms. M! By the way, your wonton easily surpasses Jaden’s in that contest, except for probably the costs. Would rather make and eat yours though. Still can afford it! what kind of ham do you use for your soup? Like the ones from the deli? What kind? you can buy shrimp won ton bowls at costco – at least, here in seattle you can. they are carrying the CP brand shrimp won ton bowls, 6 in a box for about $10. while i’m sure they don’t come close to the recipe listed here (that i plan to try out asap), they are still good. you get 5 won tons per bowl in a clear broth with green onion and garlic and these are good sized shrimp/prawns, fat and juicy. i fill ’em with water to just below the brim, microwave x 2.5 min and – voila! – a quick and tasty snack that puts something warm and yummy in an empty stomach real fast, and only 200 calories. as a ready made, i’m sure it’s not any competition for home made, but it’s a quick way to get a shrimp won ton fix. they sure don’t last long around my house. They have the best wonton soup with a broth that isn’t too salty. I hit this place anytime I’m back in LA. If you somewhere in San Francisco, there is a small shop open by a chinese family, served the best wonton and dumplings ever. They are famous with their beef noodles. They use “wonton noodles” for most of their noodles. But their wonton is the best ever that I tried over there. Eating it with their chilli paste there is really taste good… I missed it a lot. Do drop me a line if you want to know where exactly is that shop. Happy New Year. I was hoping to get the name of the restaraunt in S.F. that serves the yummy soup. I’m in the East Bay and love to try new authentic chinese food. Thank you in advance. Not sure whether you have google map but if you don’t try to get a map of chinatown of San Francisco. I don’t actually have the name of the shop but I can tell you where it it. From the Montgomery BART station, walk toward Kearny St. Walk along Kearny St heading toward Hilton Hotel in Chinatown. About 1-2 block before you reach the hotel, you should be able to see a small shop along the way on your right, where you will see that there is a chinese guy cooking some noodles. You won’t missed this shop as when you are near to the shop you will start to smell something like beef stock soup. You can try to order a noodles with “sui kau”, which this is one type of wonton (bigger than normal size) where it has prawns and meats inside there. And if you love chinese egg tart, this bakery bake the best one I ever tasted. Remember to go early to queue up as they ran out pretty fast. Its also walking distance from Hilton. Good luck to you and hope you will enjoy the good foods. Yes, please. Where is the restaurant in SF? Sorry to comment on an old post, but 1) this blog is incredible, and 2) I have a question: is there a reason why you boil the wontons in water instead of the soup stock? Just wondering if that extra step is necessary. Is it to keep the flour from thickening the soup? Thanks. Yum! I just tried your recipe for wonton soup and it was delicious! Thank You! Hello..can someone give me a recipe for WONTON SOUP…THE LIQUID [SOUP] PART ONLY…DELICATE YELLOW COLORED ONE NOT THE BROWN. I am just writing to make you be aware of what a beneficial discovery my cousin’s child found reading through your site. She came to understand a wide variety of issues, including what it is like to possess a wonderful teaching spirit to let the rest with ease learn some complicated topics. You actually surpassed people’s expectations. Thank you for providing these great, trusted, educational and as well as cool tips about your topic to Tanya. it has a little spice and the best flavor i have ever tried. I dont have an asian market where i am what kind of ham can I use? or substitute. Can I use something to substitute the ham, I dont have an asian supermarket here, and the western ham is quite expensive? Your wonton soup looks very yummy! Thank you for sharing your recipe! If you are ever near California’s state capital, you should make a quick trip to Vacaville, CA. Vacaville is known for the Nut Tree & the Vacaville Factory Outlets, but this small city also has the “only” Chinese resturant I’ll eat at. It is a family owned restaurant named Yen King & has been in Vacaville for years, while always having the same friendly, family owners. They serve the best wonton soup I have ever had & it doesn’t just come with wontons! Their wonton soup has pork filled wontons, plump shrimp, pieces of pork meat, snow peas, fresh spinage leaves, finely chopped onions, mushrooms, and another vegetable that I don’t know the name of, but it is an off-white color, crunchy, has a thin, long, rectangular shape to it, & if I remember correctly, it has several, thin, lines indented in it. Maybe you might know what that is? Maybe some kind of leak? I don’t know? Their soup is absolutely delish. 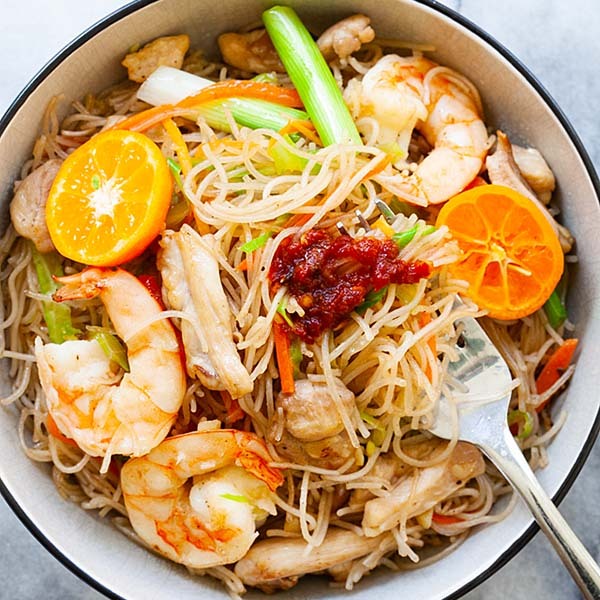 I have always wanted to try making Chinese food, so now that I have found your recipe, in the sea of recipes online, I will finally give it a try! Thank you so much for posting a simple wonton soup recipe, that beginners, like me, can handle, & mold into our own unique concoction! I also wanted to ask you if you have any recipes for the wonton wrappers? I have been searching online, but I haven’t found a recipe for wrappers yet? I am not sure if I will be able to find wonton wrappers at any of the stores near me? But also, I just think it would be fun to try & make them from scratch. Thank you again for sharing you wonton soup recipe & I look forward to exploring your other recipes! :-) Oh, & if you are ever in Nor Cal, don’t forget to try Yen King in Vacaville, CA! Ask for the owners daughter, Eling, (Sorry, I don’t know how to spell it) if she is working she will instantly make your whole party feel like you are part of the family! 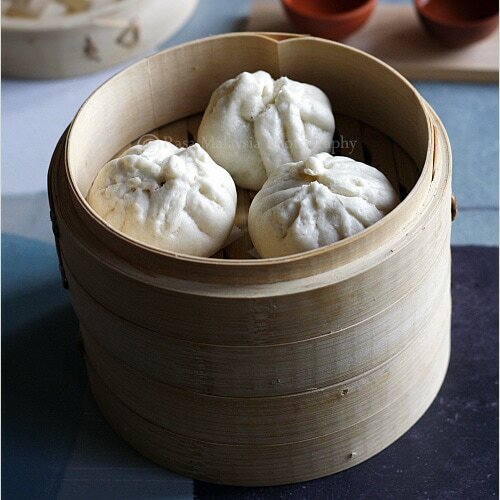 Have you tried 1+1 Dumpling House in Chino? What can I substitute for yellow chives, I can’t find any at the store even in asian store. This looks great – will have to try with my 7yr old – she likes to cook. Wondering – I grew up in LA and grew up on authentic chinese food (dad took us to one place in chinatown and they like to see what us kids would eat) and love War Wonton soup. Other than NY city – I have not been able to find it in a restraunt and any good recipes – any ideas?? Living in the Midwest – until recently you can only get the americanized chinese food. I live in California in the bay area. I’ve had several won ton soups at different places, but nothing compares to this restaurant in the east bay who definitely makes the best. I literally drive miles to get theory soup. “Wonton Soup Recipe | Easy Asian Recipes at RasaMalaysia. com” was in fact a remarkable article and I personally was indeed truly satisfied to locate the blog post. I am afraid that you can’t make proper hong kong style wonton soup without using dried flounder in the broth. Sylvia, we can’t get dried flounder here easily, so we have to make do. We made this last night. It was exquisite and so very easy to make! Husband and I agree that we will never order it out again. Wonderful recipe! Thanks Victoria. So glad that you love my wonton soup recipe. I am making your Won Ton soup now. What do you do with the other half of the chives? Use them as garnish? I don’t eat shrimp or pork, so do you use the same seasonings with ground chicken? Looks soo good! Can’t wait to try this! What brand are the bowls?/where can I buy them? They are so cute! I forgot where I bought them. Yes, this is a great wonton soup recipe. Soup looks amazing. Can this be made gluten free? Also love the soup bowl. Do you know where to buy one like this? I forgot where I bought it. Sorry. You need a wheat based wrapper…not sure about GF. Thanks for the recipe! Yum love wonton soup! Can I use something else instead of the chicken bouillon powder? I don’t keep chicken bouillon powder in my pantry. Lol. Just use a little bit soy sauce.